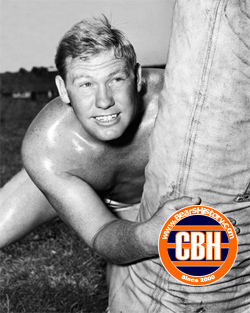 Attended college at Hardin-Simmons in Texas and would later recruit fellow college teammate Ed Sprinkle to try out with Bears. Played center and linebacker, also filled in at running back when needed, scoring several touchdowns. Seven time all-NFL, intercepted 17 total passes and played on four Bears championship teams. Elected to the Pro Football Hall of Fame in 1966. Died in 1998 at the age of 79.